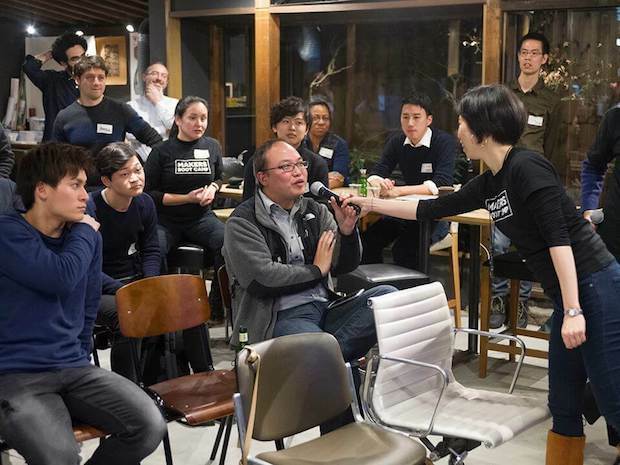 This is a guest post by Sabrina Sasaki, a marketing representative of Kyoto-based hardware startup accelerator Makers Boot Camp. 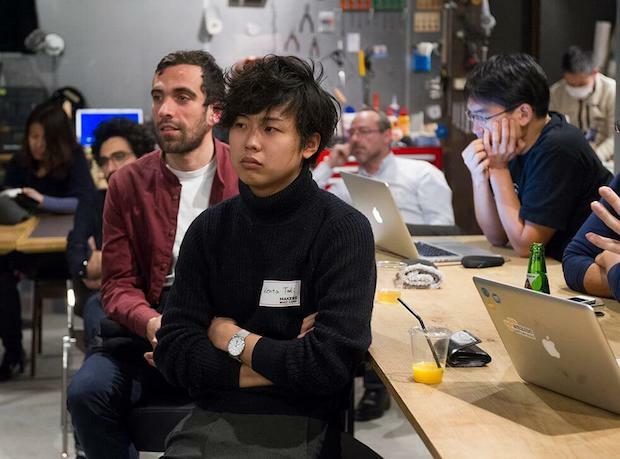 The accelerator holds the Monozukuri Hub Meetup event in Kyoto on a monthly basis. Additionally, all photos in this article were taken by professional photographer Taiga Tamura of Tamura Shashinkan. 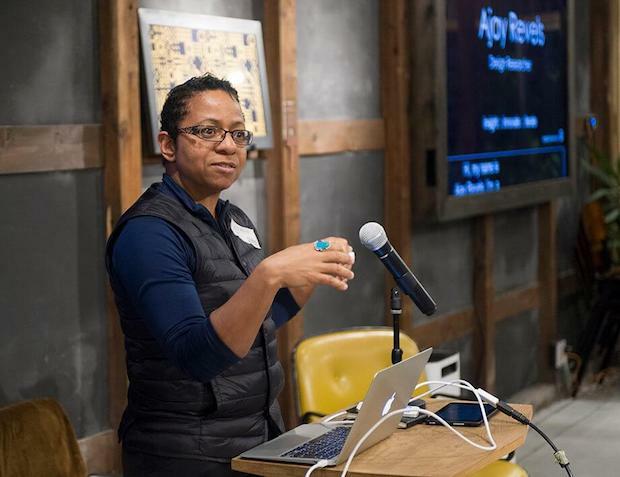 February was a busy time for Makers Boot Camp. 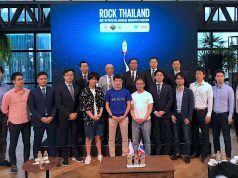 Just one day after HackOsaka, when we supported Monozukuri Hardware Cup 2017, the first pitch contest for hardware startups in Japan, we also had the opportunity to invite special guest speakers from three different hubs of the world. After a very busy schedule in Osaka, some of them had the chance to stop by and bring their personal insights to our Monozukuri Hub in Kyoto. 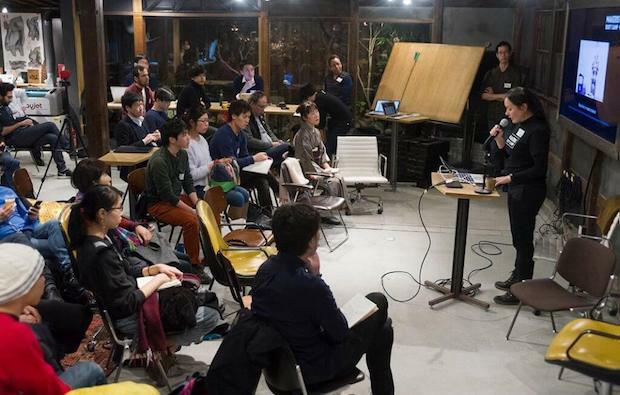 I was in charge of introducing the meetup topic and its relevance for students – a considerable amount of the population in Kyoto and the highest concentration in Japan – to engage in startup communities, share their ideas, learn about experiences and question the status quo. There were many new faces in the audience, as the idea was to focus on young people considering their next life choices. The first question I raised at the event was “Why Kyoto?”. There’re so many unique things about the city that it’s hard to define its industry in a few words, specially considering the diversity in terms of Art, Design and Architecture. 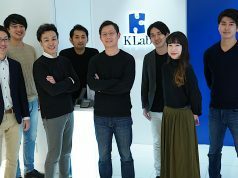 Kyoto is a dynamic spot where innovation and creativity have been part of all sectors, and we’re lucky to be able to benefit from all those ventures that still impact our daily life. A city where modern & famous companies like Nintendo, Kyocera and Omron coexist with an intensive and traditional craftsmanship activity, reference in industrialized countries for best practices, as in pottery, textile and culinary. 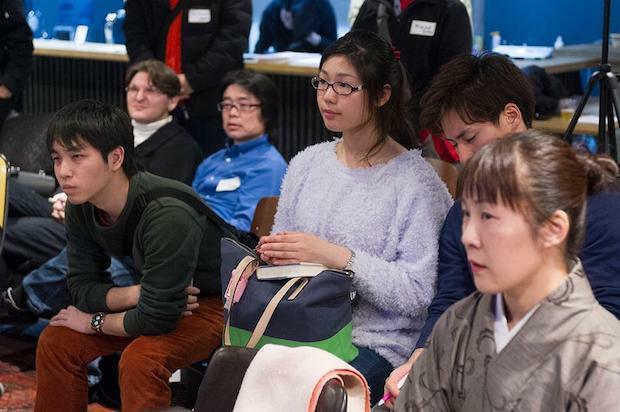 Kyoto yearly hosts many visitors and Foreign Exchange students interested to get inspired and collaborate with the local ecosystem for creation and renovation. In that sense, connecting students from different universities to outsiders can facilitate our dialogues to promote alternative ways of making new things. 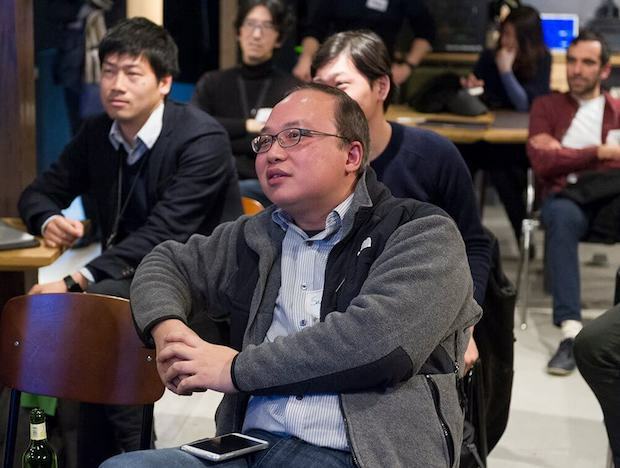 Sam Lai, Taiwan-based Managing Director of Yushan Ventures joined the audience as our special guest. Our city has been a great environment for us! 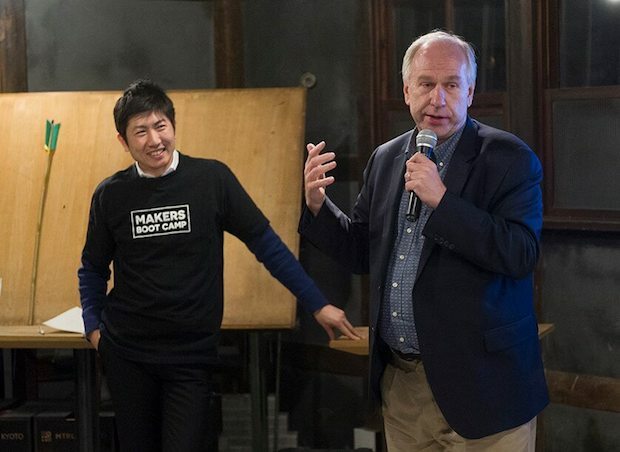 Makers Boot Camp shares the Japanese worldwide know-how with industrial best practices that come from this background, as our Co-Founders met thanks to this ecosystem. With our mentors and manufacturers, we provide startups the support they need to build the basis for a new business.We also have young professionals as part of our network and we’d like to get to know more student’s projects. We can start helping with some basic advise for the ones considering building a new product. But in terms of requirements, how could we define a “right” person to become a maker or join a startup? There’s no such thing as the “right personality” or a specific expertise needed to join a startup, as you can always improve your skills. First of all, makers are all about discovering, trying new things and finding what they’re passionate about. In the end, what makes the difference is not an individual skill but the team work results, so sharing is part of our routine as a startup. Looking at the steps of a hardware startup, represented as in a videogame with different stages, in order to move to the next one, you must achieve a certain level in the current one. 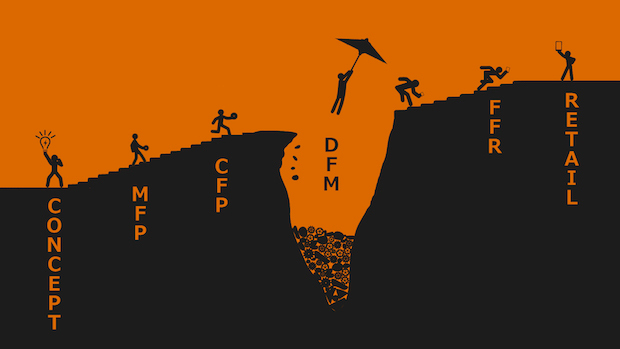 In this sense, the part where most makers struggle to continue “playing the game” is when they have to make a professional prototype, a stage we call “Design for Manufacturing” (DFM). That’s the part we can support startups with our prototype experts and we’d like to invite all students to experiment new things within our hub. Do I have a real problem to solve? Can I make a product to solve this problem? With startups, Ajay runs experiments to test if there is a product solving a real problem, and if people are willing to pay for this product. 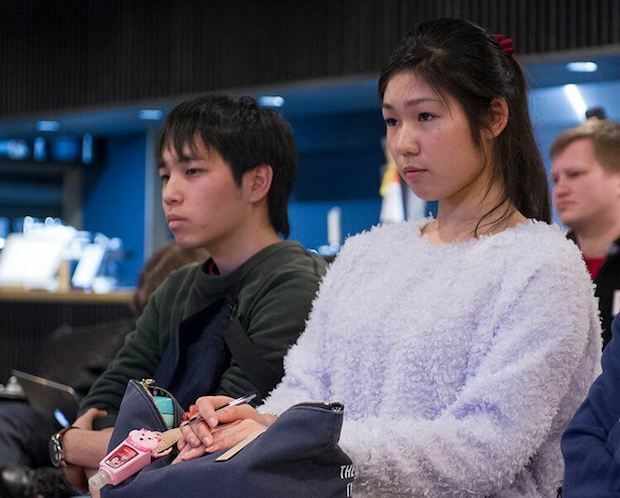 She applied some of her recent examples after observing people interacting in Kyoto. Some startups work for traditional charity, just solving a problem without making money out of it. Others are part of a professional business, so there must be a profit to be given in return to investors. And there’s also the area of social entrepreneurship, that is a hybrid right in between the other two, when both making money and supporting the community are part of the core goals. 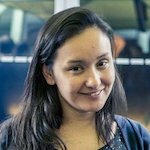 There’re many models that can be used to measure a startup achievement – a broad concept of success could be applied in different ways, depending on the specific purpose defined by its stakeholders. The second speaker was Jeffrey McDaniel (Innovation Works) who came from Pittsburgh (PA, US) to take part in Monozukuri Hardware Cup as the head of the Judges. 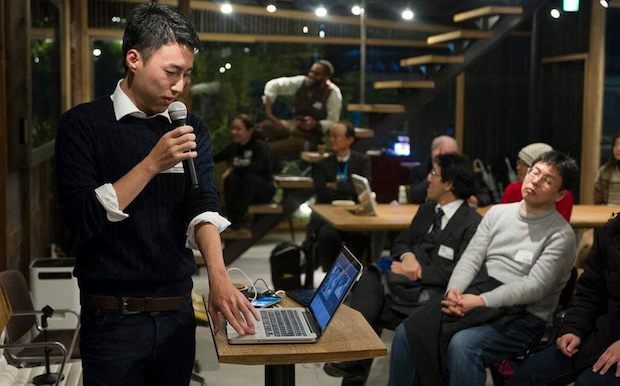 He represents one of the main hardware startup ecosystems in the world, part of Alphalab Gear Hardware Cup. His role as Executive in Residence consists of spending a lot of time with early stage companies, as a mentor for founders and entrepreneurs. Like Ajay, Jeff clarified the two basic things you need to start a company: a good idea that is able to solve a problem and find out who’s willing to pay for it. Pittsburgh used to be known as the “Steel City”: 80% of the total amount of the metal in US used to be from the region, but nowadays it represents only 5%. The area has been an important hub for the American industry and the city managed to survive thanks to its qualities of reinventing itself. 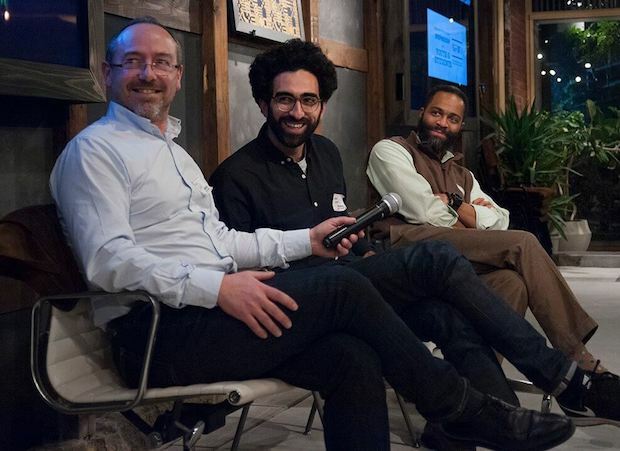 Combining natural resources with people’s talents and technologies, Pittsburgh could complete a triangle that allows ways to redefine success in its own way. Locals had to learn how to adapt to the economic changes and develop innovative skills with available resources, a survival skill very similar to what happened in Japan. There are also many universities in Pittsburgh, thanks to its prosper history – and a lot of money stayed there, helping new entrepreneurs to get support in order to take risks and start new projects. In this sense, the local ecosystem played a key role in the development of innovative initiatives, and the city is now a strategic hub for high tech companies like Google and Uber, who’s testing its self-drive pilot cars there. As the main purpose of our events is always giving visibility to startups, we also had two French entrepeneurs representing the diversity of one of the main global hubs for IoT startups. 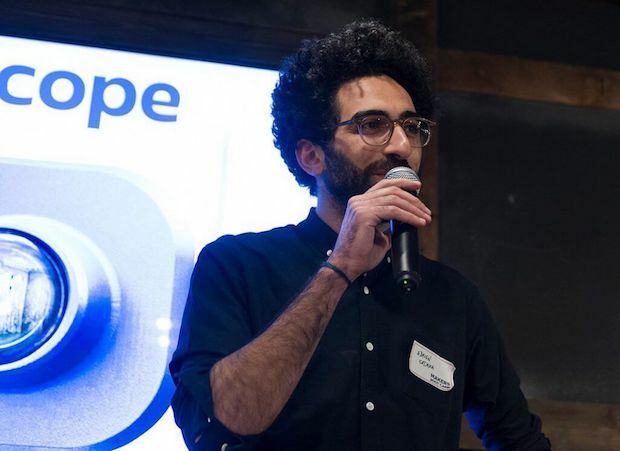 Adrien Sedaka (Timescope) from Paris, studied business at ESCP Europe, where he began his career in consulting. During 5 years, he assisted C-level managers of SMEs and large groups on business and marketing issues. In 2010, he visited Pompeii with Basile Segalen, his childhood friend. The tour took place in the high season, when the historical place becomes full of crowds, and they couldn’t have an experience as they had dreamt about. They ended up frustrated, realizing the difficulties of projecting themselves into the magic of such a historical place. The idea of developing an immersive tool designed for outdoor public places was born there, after their own frustration. In 2014, after the new progress of VR technologies, they decided to develop Timescope: the first self-service virtual reality terminal. After a year of development, the time machine was tested at the Bastille, one the most powerful historical sites in French history. Adrien and his team are now scaling-up the company, preparing new installations in 2017, and considering how they could implement this new service into Japanese historical sites. Choose careful who you want to work with, as a partnership is like a wedding. Work with people who are really motivated and do care for them. Try to execute your idea as fast as possible. Don’t minimize the skills you don’t have: either work on those skills or partner with someone who can assist you with what you need. 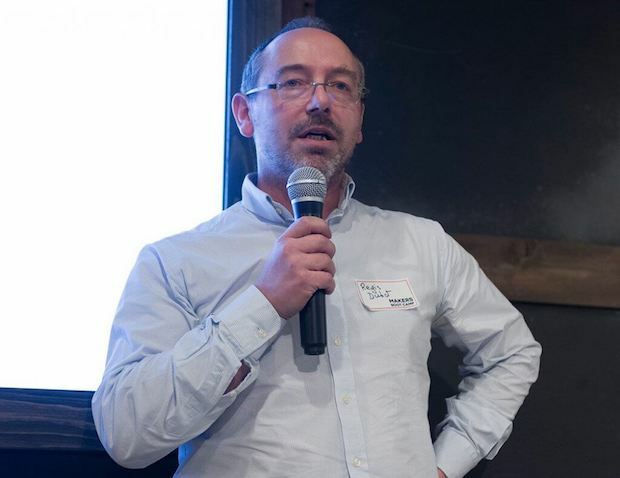 Régis Duhot, Parkisseo Founder & CEO, defines himself as a “fifty years old « young » start-upper”, who started his company after 25 years in finance and accounting areas, working for several multinationals, mostly in electronics. As most of urban citizens in the world, Régis wastes a significant part of his days looking for a place to park his car. 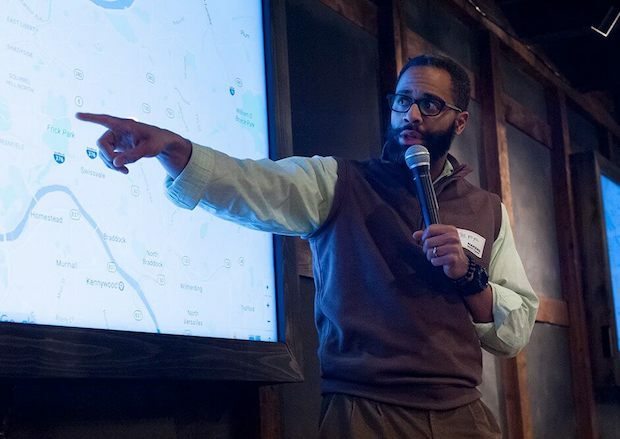 This is how he decided to focus on this issue with a new solution: a clever car system that helps drivers to find available parking spots easily, without wasting time. Parkisseo offers a complete solution, with a connected device that will allow cities to be smarter, facilitating the routine of its citizens. Easy to use, simple to instal (wireless), the startup offers advantages for both drivers and car park owners. Sushi Suzuki, Associate Professor at Kyoto D-Lab and Makers Boot Camp Adviser, invited students & startups to join Kyoto Startup Summer School. 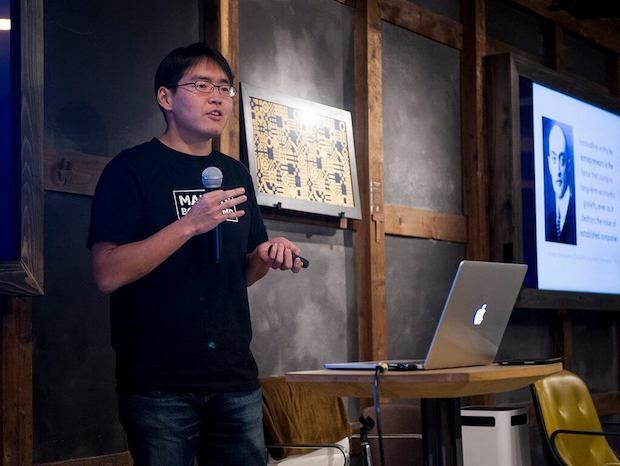 We invited Eiji Takahashi to present his student startup project: Untilet. Eiji studies polymeric glass transition at Kyoto Institute of Technology, and at the same time he is also interested in data science. Leading the development as a CTO, from early stage into the IoT device development team, he recently helped to create an entrepreneurial department within his university. His first project, Untiled, consists of a device that can recognize unpleasant odor and recommend users who suffer from stuffy nose to change their daily habits. 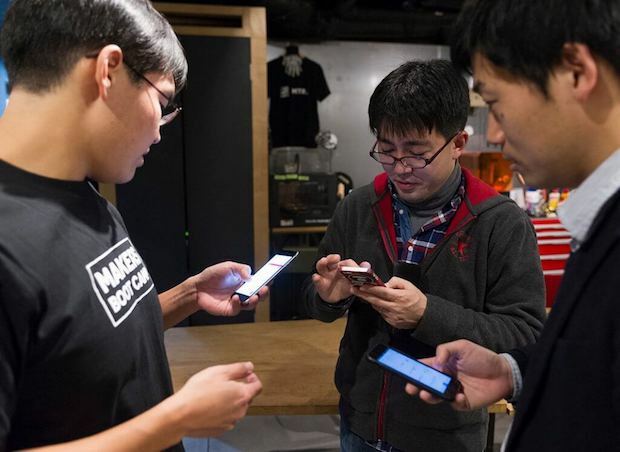 Connected to the mobile app, the sensors can capture specific substances in the air. Eiji gave a demo trial about his device, which was under development. In the end, he joined a panel discussion with other students and professors who explained the challenges to develop a startup project as a university student. Ajay also invited the International guests, both startups and Jeff, for a panel discussion about their next steps and insights. We had a Q&A session when the audience had the chance to ask questions to students, startups and experts. Before the end, there was a special closing message from our first supporter Allen Minner, Chairman and Group CEO of Sunbridge. He is a serial-entrepreneur, known for being a mentor and also angel investor for Japan-based startups, including Makers Boot Camp. 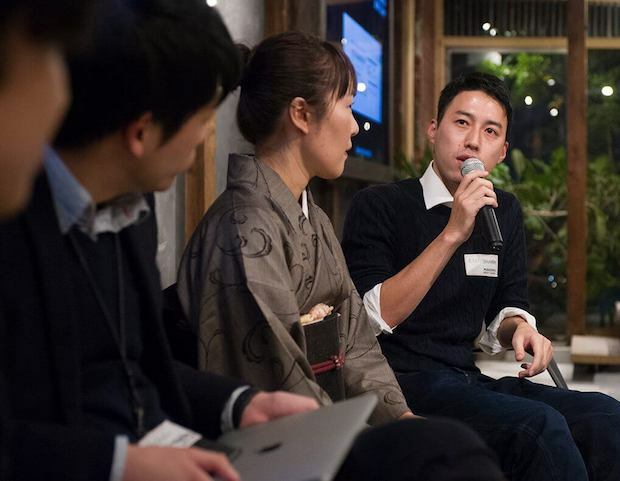 Allen highlighted the potential of our local community and Monozukuri Hub current achievements lead by a generation of new entrepreneurs like our CEO Narimasa Makino, encouraging more students to learn English and try new projects. 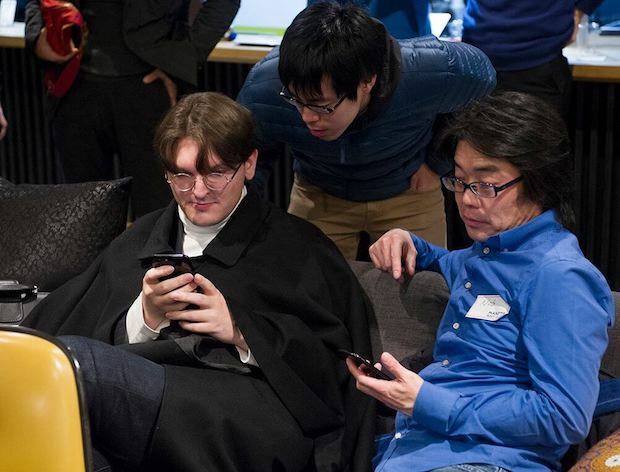 There was a networking session, where attendees & speakers could interact and test the startups devices. 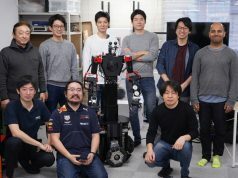 Associate Professors Sushi Suzuki and Tatsuya Tsubuki from Kyoto Institute of Technology joined Researcher Shohei Nakamura from Osaka University.